Housing price growth is slowing, though most individual markets still see price tags getting bigger, according to a global index that tracks resi markets in 150 cities. 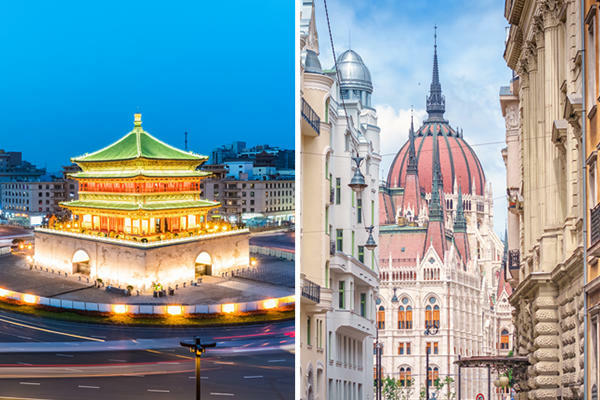 The city to post the highest housing price increase worldwide was the Hungarian city of Budapest, where prices jumped 23% in the fourth quarter of 2018, compared to the same period in 2017, Mansion Global reported. Xi’an, China, ranked second with a 22.4% increase in residential property prices. Rotterdam in the Netherlands (15.7%) and Porto, Portugal (15.6%) followed the Chinese city. The 10 fastest housing appreciation rates were logged by European and Asian cities. But the 150-city index also indicated an overall deceleration in housing appreciation. Knight Frank, which compiled the ranking, noted residential property prices increased in 79% of the cities last year, a decline from 87% in 2017. “With geopolitical issues clouding the world stage, and the era of cheap finance coming to a close, we expect the index’s performance to weaken further in 2019,” Knight Frank’s report said.